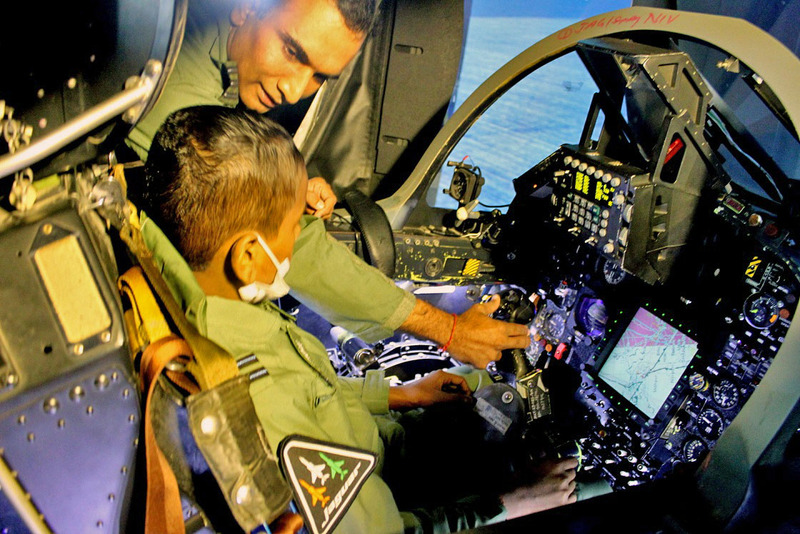 Master Chandan, who is battling advanced stage Cancer has a long-cherished dream of becoming a fighter pilot . 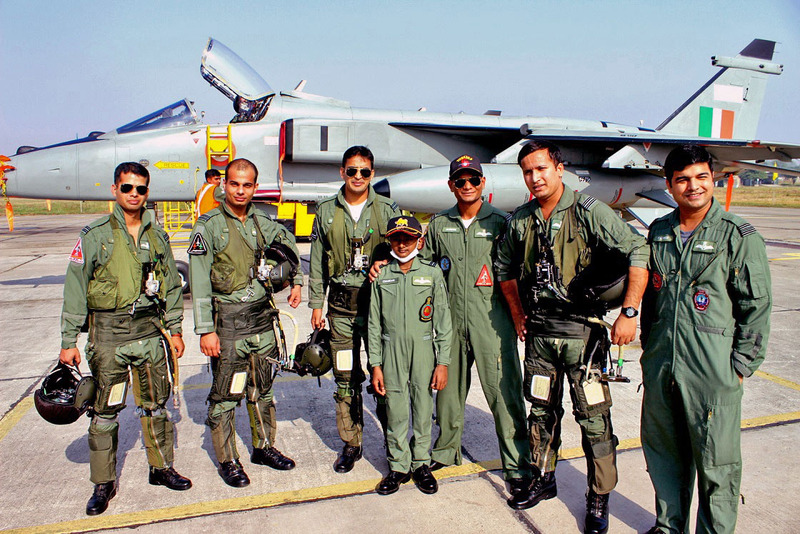 Uday Foundation, a non profit supporting Master Chandan for over two years approached Indian Airforce to grant the wish of the boy, so he can meet his real heros. The IAF agreed to fulfill this dream. 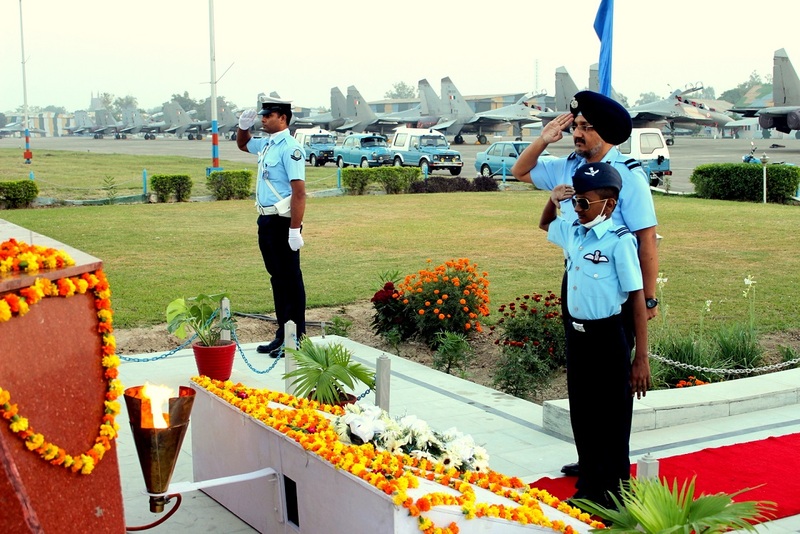 He reached Air Force Station Ambala on 10 Nov 14 in the evening hours and was given a hearty welcome by IAF personnel. Full of life, and sporting an endearing smile , he was given a warm welcome by the Air Force Station. His zeal and happiness after wearing the Air Force uniform overshadowed his illness. His inquisitiveness and his spiritedness reflected his keenness to become a pilot. Soon after wearing the “Blues” he was escorted in an Air Force vehicle to office of Air Commodore Tejinder Singh VM, the Air Officer Commanding (AOC) of the ‘Oldest’ airbase of IAF. Chandan’s excitement was palpable. On arrival, he presented a bouquet to the AOC. He was full of enthusiasm and it was visible that he was eagerly waiting to see real fighter aircraft and get to fly in the Jaguar simulator. He was put at ease and explained the role of the IAF. He was explained in simplified terms about various aspects of operational flying activities and the role the Indian Air Force plays in guarding the skies of the nation. nation. He was then shown the Station Museum which enshrines the rich heritage, of the oldest Air Force Station of the Indian Air Force. Master Chandan took keen interest in the various photographs and mementoes of the past. What particularly caught his attention was the picture of St Paul Church which was damaged during the 1965 War. 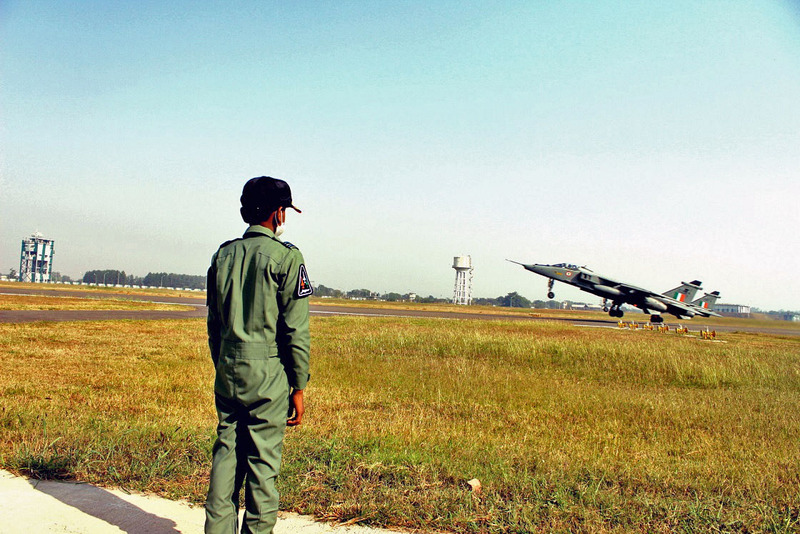 He was also fascinated to see various types of aircraft that had operated from Air Force Station Ambala. He was very inspired by the heroic act of Fg Offr Nirmaljeet Singh Sekhon which was narrated to him in front of the Gnat aircraft. Subsequently he interacted with young officers, ladies and children of the station. Master Chandan also offered sweets to all present there. Master Chandan, along with Mr Rahul Verma, Founder of Uday foundation visited No 5 Sqn ( Tuskers) on 11 Nov 14. Chandan was dressed in flying overalls and was received by the officers of the unit and was given a short Mission Briefing by Gp Capt P Vig the Commanding Officer, comprising visuals to help him absorb and visualize fighter flying . The boy was inquisitive and did not show any signs of fatigue despite having to climb in and out of the aircraft cockpit and having to walk on the tarmac area. He was then guided to a fighter aircraft where he was seated in its cockpit and was explained the functioning of various switches/ displays etc. He got a first-hand feel of life of fighter pilot and was presented with memorabilia to remind him of his visit to a fighter Sqn. With his spirits soaring high, after getting an exhilarating near-flying experience in the simulator, Master Chandan then witnessed low-level strikes by the Jaguar and Bison aircraft of Air Force Station Ambala. The pilots carried out a pair take off to add to the thrill of the boy, who was pleasantly amazed at the precision of the pilots executing the manoeuvre. The formations carried out the run-in in a three aircraft vic formation and executed a peel off right in front of the Master Chandan, who was also being told about the subtleties of the manoeuvres being carried out. He was elated and inspired by the air display unfolding right before his young eyes. The Jaguars carried out a pair landing, to culminate the air display, and leave Master Chandan with fond memories. BISON Squadron. Chandan was taken around the airfield for a windshield tour. En-route he stopped and interacted with personnel of No 3 Sqn. He was presented the Sqn memorabilia by the Commanding Officer, Gp Capt AP Singh SC. Air Defence Missiles. 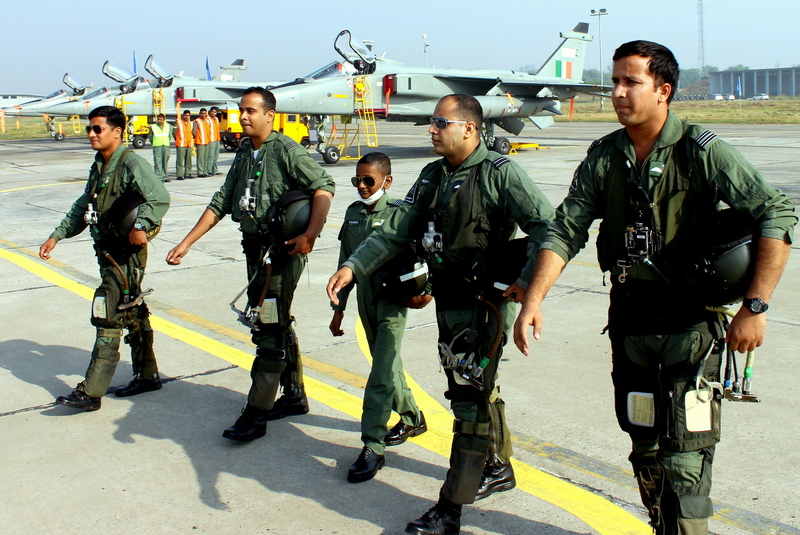 The young boy was shown the lethal SAGW systems of the IAF and explained how they operated and the roles these units play in the Air Defence of the country. Master Chandan interacted with the young officers of the unit. Thereafter Master Chandan was driven back by the AOC to his office. The young and energetic pilot presented a memento to the AOC as a farewell gesture expressing his gratitude towards the wonderful journey he had as a fighter pilot for a day. The youngster was also presented a bag of memorabilia by Air Commodore Tejinder Singh VM, Air Officer Commanding Air Force Station Ambala.